ST. PETERSBURG — The DreamFaith Foundation, a nonprofit organization, has launched its Dream Big Initiative (DBI) to provide mentoring and computers to schoolchildren in St. Pete. The foundation was started in 2008 with the main purpose of empowering underprivileged kids and adults, said founder and executive director Deonte Thompson. Though he currently resides in Austin, Texas, Thompson is a St. Pete native and a product of Boca Ciega High School and Florida A & M University. For him and his board of directors—about 90 percent of who hail from St. Pete originally—it is a way to give back to their hometown. Thompson grew up on 46th Street and 14th Avenue South in Childs Park, and he admitted it was “pretty bad” when he lived there as a youngster. Through its Dream Big Initiative, DreamFaith is creating a mentoring environment at Childs Park Recreational Center, 4301 13th Ave. S., by joining up with Parks and Recreation and St. Pete’s Promise, a city initiative to provide opportunities for at-risk students. “We partnered with St. Pete’s Promise, which is the city of St. Pete mentoring program for all of the schools, so it’s basically implementing the foundation of their program at Childs Park Recreation center,” Thompson said, adding that it’s one-on-one mentoring, where mentors and children meet once a week for a period of one year. As a part of its computer lab revitalization project, the DBI has provided eight new Dell computers along with new office chairs and tables. What sets the DBI apart, Thompson said, is that he’s taken many of the life principles he’s learned over the years and has implemented them as “pillars” for his initiative. Some include urging young people to dream big, to not follow the crowd, to take education seriously, to think positive and to control their anger. DreamFaith operates under a core foundation of two principles, Thompson said, which are self-empowerment and the empowerment of others. The Foundation has multiple programs, which include community outreach, workshops and even sports training. “We’ve done basketball camps,” Thompson said, “we’ve participated in camps with Kevin Durant. We’ve also partnered with Dell, Inc. to conduct engineering and gaming workshops at Steve Harvey’s mentoring weekend event.” He added that DreamFaith has awarded over 25 scholarships in the past five years to graduating high school seniors, has donated school supplies and has generally aimed to help young people by boosting their confidence with some all-important intangibles. “We just try to help kids and teach them life skills as well,” he said. Thompson said he tries to get back to St. Pete—where most of his family still resides—at least once every few months to make sure the program is running smoothly. He’d ultimately like to bring a mentoring program to several neighborhoods in his hometown. The DBI mentoring program is aimed at students from fourth grade through 12th grade, and according to the National Mentoring Partnership, children who are mentored are more likely to raise their goals and get better grades and less likely to get involved with drugs. “We wanted to cater to some of the struggles and some of the things the kids in south St. Pete have experienced,” Thompson affirmed. The program is always looking for mentors, and to qualify Thompson said applicants must be at least 18, pass a background check and go through free training provided by St. Pete’s Promise. He added they must be passionate about making a difference in what could provide “a lasting and ongoing impact on a child’s life.” The program also welcomes corporate sponsorship and donations. 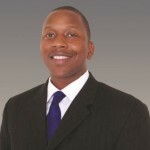 Currently a program manager at Dell Computers with a bachelor’s degree in electrical engineering and a master’s in business administration, Thompson is a success story himself, as he admitted he was a slow learner that could barely read when he was in the second grade. But he had drive and determination, and as his friends played basketball and video games after school, he stayed home among a pile of books, pushing himself to overcome his academic shortcomings. He now stresses to young people the importance of working hard and making sacrifices to achieve their goals. For more info about the DBI and The DreamFaith Foundation, call (512) 815-3029 or email info@dreamfaith.org.